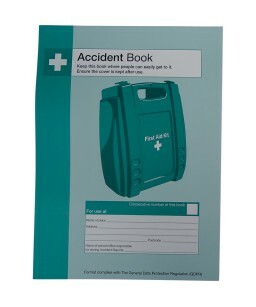 Our Accident Books are a must have for any workplace to record accidents and injuries to employees, students, or visitors. An accident book is required by law and enables compliance with all requirements of the Social Security Adminstration Act 1992 as well as the Data Protection Act 2018 (implementing GDPR). All accidents in the workplace or in schools must be recorded in the accident book, and the simple form layout of this book allows individuals to effectively record accidents and incidents. The accident book provides space for 53 records.